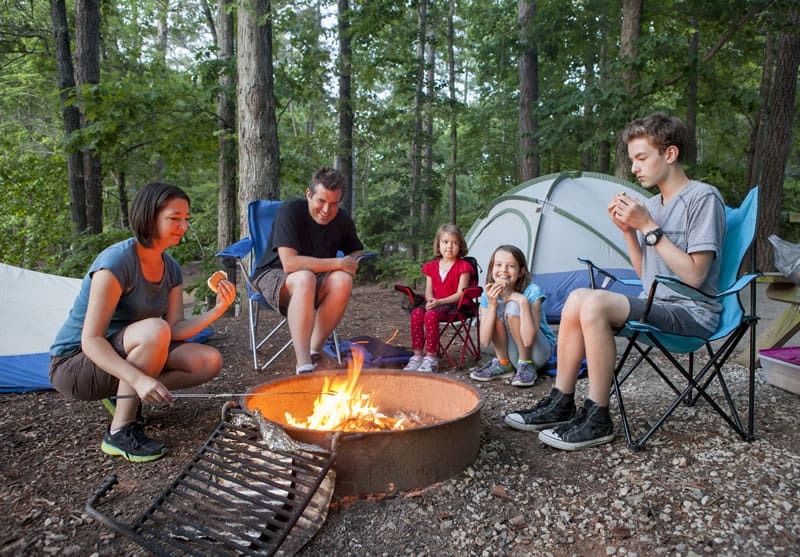 The centerpiece of any camping trip is almost always the campfire. More time is spent trying to light it and tend it than on just about any other activity. At night, everyone gathers around it to eat, tell stories, and just hang out. It is warm and bright, and comforting in the woods at night when the dark closes in. With all of our fancy gadgets in the kitchen, though, the fine art of cooking over a campfire is not as well understood as it once was. Even grilling out in the backyard is easier, and tamer, than cooking over a fire. You have the option of bringing a gas stove out into the woods with you, if you want to wimp out and don’t want to deal with cooking over an open fire. Like with most things, though, having the right tools with you can make a huge difference. 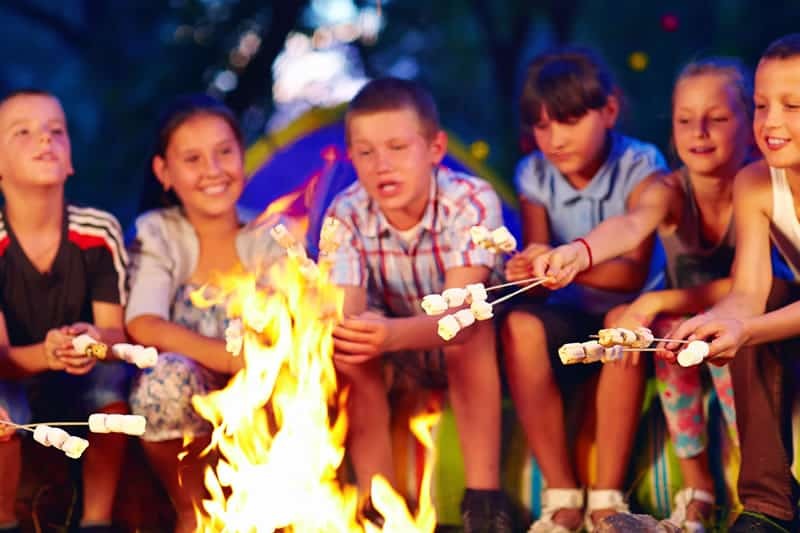 Having the right utensils, pots, and pans, as well as the right ingredients, makes cooking over a campfire fun and easy. The food you make will be delicious, and have a flavor that just cannot be reproduced at home. There are a few rules when it comes to cooking over an open fire that may seem obvious but are worth covering. First of all, always use metal utensils, preferably without rubber or plastic coating of any kind. While many plastic utensils are fine for using on the stovetop, they won’t last long in a fire. They melt, or even if they don’t they can leave chemicals behind that you don’t want to put in your body. Cast iron pots and skillets are great to have, too. They can be a little expensive, but they will last forever. The cast iron is tougher, meaning it will hold up to the rigors of a campsite better, and hold up to being stuck in the fire better as well. Cast iron pots and pans also tend to have thicker walls, which means the heat of the flame will spread out more evenly. Dutch ovens are also great to take along on camping trips. These big, cast iron pots were originally invented to make cooking over a fire easier. They often have feet so that they can stand over a fire, and are thick bottomed so they can sit in the flames without being damaged. Tripods or roasting spits are also nice to have along, so you can hang the Dutch oven or other pots from them. The type of camping you’re doing will determine the type and amount of equipment you can take. If you’re camping in a cabin, or can drive right up to your campsite, you’re going to be able to bring more stuff. If you have to hike into a campsite you might want to limit what you take. If you’re backpacking, you don’t want to take anything that you won’t want to carry on your back all day. 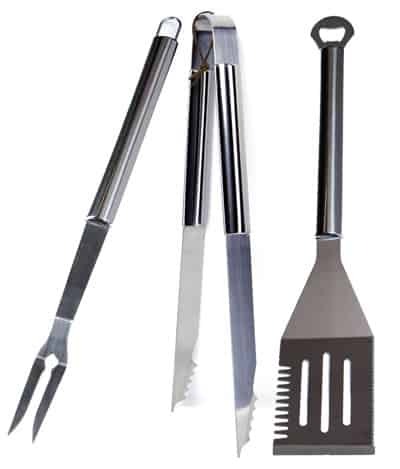 There is, however, a whole rang of gear that is designed specifically for campfire cuisine. Pie irons are an old stand-by at this point, and can be used to make grilled cheese as easily as pies. There are hot plates meant for use over fires, and even pizza plates if you can’t go without for a few days. Lid lifters and tilters are handy, as you might not want to reach over the flames with an oven mitt to check the status of your stew or chicken. Campfire kettles are an easier way to make your morning coffee than trying to do it in a pot, and having one along means you can make the real stuff and not instant. Long handled skewers are handy for roasting hot dogs and marshmallows, though a whittled stick will work just as well and is a fine camping tradition. Now that you have all your tools picked out, you need to decide what kind of food you’ll be making. You should probably work out a menu, or at least have some ideas, before you head off into the woods. There are a few things, however, that should be in any camper’s cooler and pantry. There are a number of staples that you should bring with you. Salt and butter should be brought along, as they can be used in just about every dish. Oil is also a good thing to have. Flour can be great if you’re making stews or desserts, though pancake mix can be substituted in a lot of recipes, such as battering fish or chicken. Flour and pancake mix should both be kept in a waterproof container and kept away from open flames. Potatoes are a great option, as they are easy to store and last for a while. They are popular, can be used in a number of tasty dishes, and are easy to cook. Fresh vegetables in general can also be a good choice. Frozen veggies are popular when cooking at home, as they are generally cheaper and can be thrown in the freezer and hauled out when you want them. Camping trips might be a good time to get some fresh veggies, though. It can be tough to keep things frozen at a campsite, and fresh vegetables may actually last longer over a long weekend camping trip. Slice up some peppers, broccoli and cauliflower, onions, or whatever you like. These can be stored in some Tupperware and then put in your cooler to be used for whatever recipes you like. 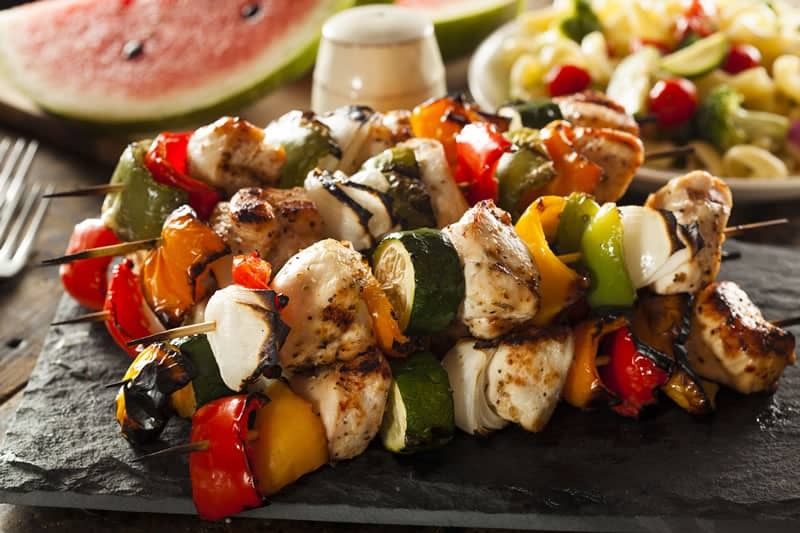 It can be as simple as threading them on a skewer with some beef and making quick shish kabobs. Finally, bacon is almost always worth taking. If you get the right kind, it can last for a while even if you run low on ice. Just about everyone loves bacon, and it’s easy to make in a skillet in the morning. Save the drippings, and they can be used to make flavorful eggs or in any number of other recipes. Campfire cooking doesn’t have to be hard or messy. The traditional solutions, of cooking foil packets, can get boring even if you get creative. But, real cooking is possible over a campfire. With the right tools, it’s fun and easy. You can also make some great tasting and unique meals over a campfire.